The Coin Chat | Listen Free on Castbox. 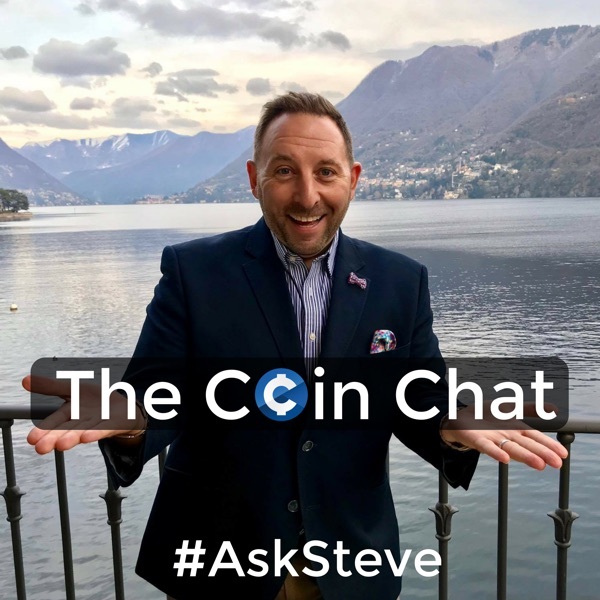 Hosted by Steve Good and Yuri Cataldo, The Coin Chat is your trusted source for all things cryptocurrency and finance. Each week we dissect an important issue and cut through the noise and misinformation out there in the world of the blockchain, cryptocurrency, Bitcoin, Ethereum, and ICO's to capture the facts that truly matter to you that will give you an edge in this fast-moving emerging market. The Who, What, Where, When and, How of what you need to know in crypto to get ahead so you don't get left behind. Ep93 - Would you like to know why Nelly Moffett has gone All In on Crypto? Visit us: https://thecoinchat.net OR https://patreon.com/thecoinchat Part 2: David Atkinson from Holochain and I debate the Token Models! Visit us: https://thecoinchat.net OR https://patreon.com/thecoinchat David Atkinson from Holochain and I debate the Token Models! Ep88 Litecoin (David Schwartz) Did he just say that? What is No Mans' Land? And More! Ep87 Morgan Pierce: Was she the pioneer behind internet marketing and social engagement? Ep86 I want to work for Mary Camacho - Holochain Executive! Do you know why? Watch!